Collaboration — it’s all about groups of people working together to capitalize on each other’s resources and skills to achieve a common goal. And your library is the perfect place to foster a collaborative environment. Having the right furnishings in a space can enable you to offer users a comfortable, interactive space to work in. 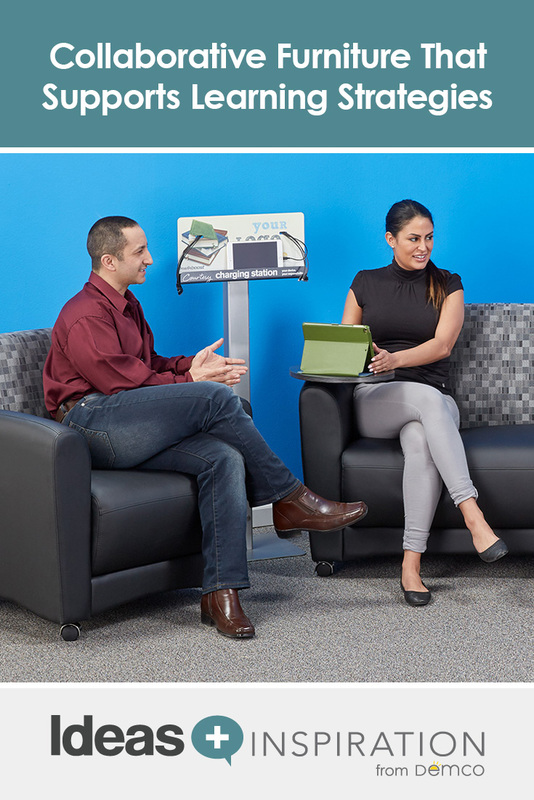 This soft seating provides comfort during extended collaboration sessions. As group sizes fluctuate, the OFM Interplay Lounge Seating is easy to rearrange or keep in place, thanks to locking casters. Optional tablet arms also provide a surface for electronics and papers. Perfect for users who demand an instant collaborative environment, these mobile tables are as stable as fixed furniture, yet as modular and flexible as a folding table. They require only one person to fold and nest them, which allows you to easily and quickly repurpose your space — something both you and your users will appreciate. Booth seating has remained popular over the years for several reasons. First, it encourages social interaction, yet allows for privacy. It also offers a comfortable setting that feels safe, a key component of a collaborative environment. 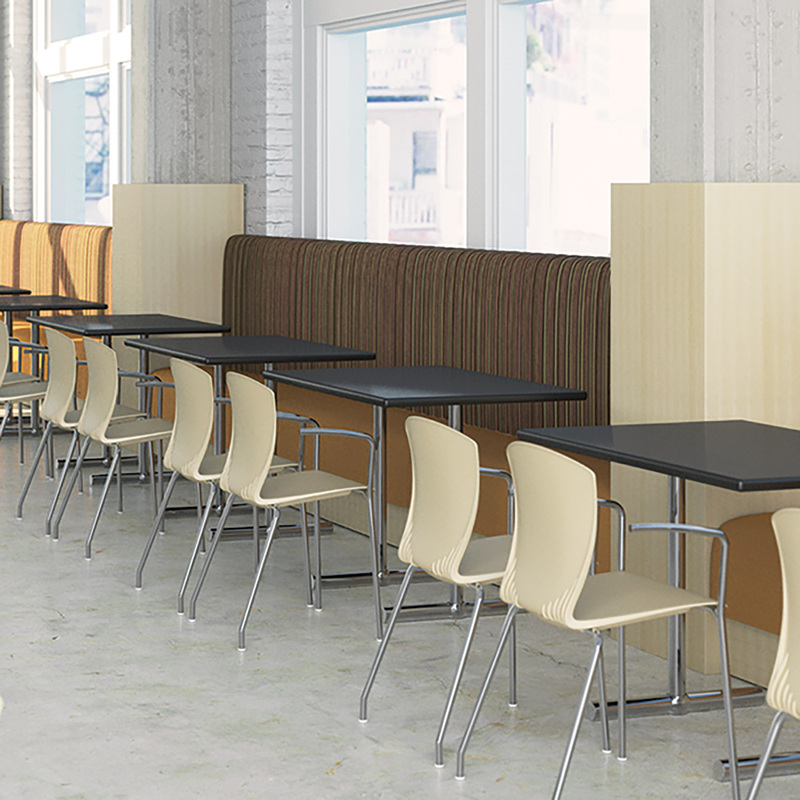 Use of wall booths can also help provide flexible space that can adjust for group size. Lastly, booths can be used to divide space and create zones. With today’s active lifestyles, the sit-or-stand option is here to stay. OFM’s Endure Table features a standing-height tabletop with swivel seats that easily store underneath when guests prefer to stand. Multiple units can also be attached together to fit your space. The optional dry-erase tabletop allows for collaboration on the spot. Each table comes standard with a flip electrical panel that provides access to power, which users can never get enough of! Unite people in exploration and discovery! Media tables with optional TV mounts allow groups to gather and view content on a group member’s screen via a TV. The elective power feature permits users to charge their devices while they continue to work together, and the tabletop is height adjustable, allowing users to set it to the most comfortable height. Creating an environment that will foster collaboration can take some thought. 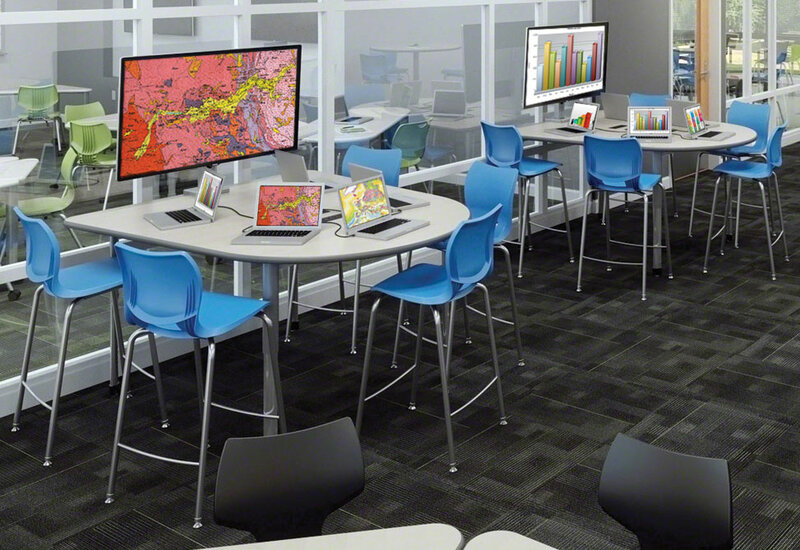 Are Your Users Clamoring for Collaborative Spaces? Explore all the seating options and accessories that will make your space functional and flexible.